As I enter the auditorium of the Royal George Theatre, I am immediately whisked away into the great halls of King George III himself. The set of the great hall, designed by Ken MacDonald, invites the audience to experience the true scale of 19th century architecture. 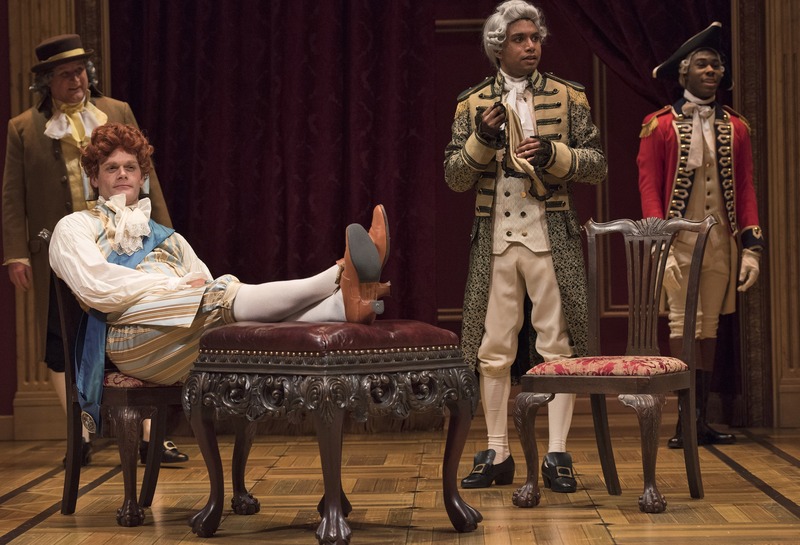 The extravagance of the period is on full display, and as my eyes wander I discover that the characters are engaging in conversation with the front row, and this sight has me immersed into the world of George III. As the lights dim, I eagerly wait for what royal drama is afoot, and I feel my fellow theatre goers hone their gaze upon the stage. 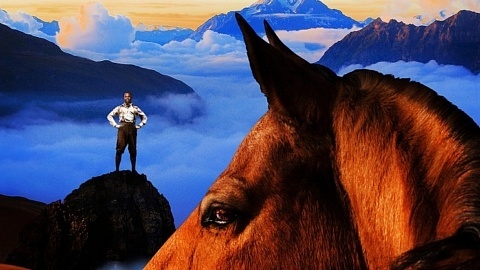 Only theatrical giants such as the Shaw Festival can produce such majesty. But Great Halls can feel small and familiar over time, and The Madness of George III demonstrates how even giants can fall victim to small problems. 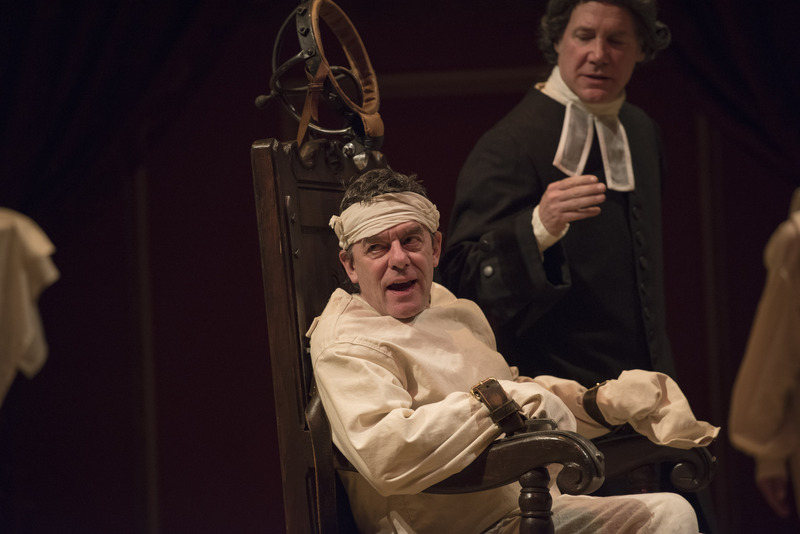 Tom McCamus as George III and Patrick McManus as Dr Willis in The Madness of George III. Photo by David Cooper. Aside from Ken MacDonald’s set design and Kimberly Purtell’s lighting, which brightens and dims at appropriate moments to create dynamic levels of suspense, Tom McCamus’ performance is a standout. His portrayal of King George III is boisterous and inescapable, and McCamus’ presence is impossible not to be swept away by. However, aside from a strong lead and a few moments of greatness sprinkled throughout, there is little to recommend about this production. As the King slowly drifts into madness, he is attended by his many royal subjects, who attempt to bring him back to health. The supporting cast wears out its welcome almost immediately, due to their use of excessive toilet humor and cartoonish personalities. I feel as if these characters are in a separate play, which diminishes the drama at hand. The King experiencing madness by witnessing theatrical elements, such as actors changing characters before his eyes, is an acute insight upon his illness, but this device is scarcely used throughout the piece. It feels as though little happens within an excruciatingly long play, and dramatic moments such as the King’s recovery happen so quickly that it fails to leave an impact. There aren’t enough dramatic moments to warrant a 2hr and 45 minute piece. While the Great Hall is inviting at first, I am more than eager to abandon it for the cold of the night. 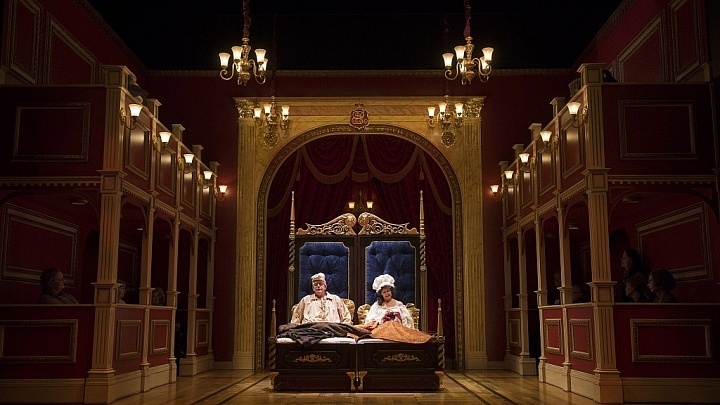 The Shaw Festivals production of Alan Bennett’s 1991 historical drama-comedy The Madness of George III depicts the well documented life and descent into madness of the reigning sovereign. Before the show has even began several of the actors (including Tom McCamus who plays the titular George) stand on stage interacting with the audience out of character. Following a brief and seemingly unplanned speech by the shows stage manager, the show begins as the ensemble cast enter and dress the King in his lavish robes. The production design of the show is phenomenal; intricate costumes designed by Christopher David Gauthier transport the audience directly into the era at hand while the clever use of beautifully crafted movable set pieces and props by Ken MacDonald further paint the picture. The show begins with the audience fully lit; as the show progresses the lights in the audience dim incrementally until we the audience are in complete darkness with the stage fully illuminated. This intentionally slow process can come to symbolize the degradation of King George’s psyche: the audience no longer feels the casual involvement that the well-lit room provides; instead they too become witness to his madness. Tom McCamus as George III with the cast of The Madness of George III. Photo by David Cooper. Tom McCamus delivers the anchor performance of the piece, his charismatic portrayal of the ailing monarch is fascinating and captivating. His rendition of the King manages to convey the complexity and uncertainty of mental illness through moments of genuine humour and stark horror. McCamus does a remarkable job of taking the audience on the journey of his painfully slow and visible descent into madness and incoherence. The ensemble cast, tasked with the challenge of depicting multiple characters within the confines of the show, seem to struggle more. Characters switch in and out of costume onstage, at times even interacting with themselves, using their previous wig as a surrogate for an onstage counterpart. Though all involved are very competent performers, the frequent switching between personas creates a degree of confusion as to who everyone is in the context of the scene at hand. Having seen the production on October 4th I feel that, while the show was professional and polished, it was apparent that it was in the final legs of its run and that the actors were running out of steam. The pacing of the show becomes distinctly sluggish as the drama unfolds; the play begins to drag and becomes far too repetitive. One such example of this is the show’s preoccupation with the King’s bathroom habits, a recurring gag which loses its charm well before it’s retired. 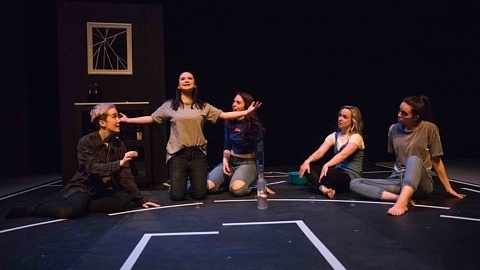 The production in its entirety is quite a lengthy commitment and does not come across as capable of maintaining the enthusiastic interest of its audience throughout. The Madness of George III is a visually stunning spectacle that lacks the energy to earn its 2.5 hour run time. This overplayed gag is, sadly, indicative of the entirety of the show. I entered the theatre of The Madness of George III with high hopes. 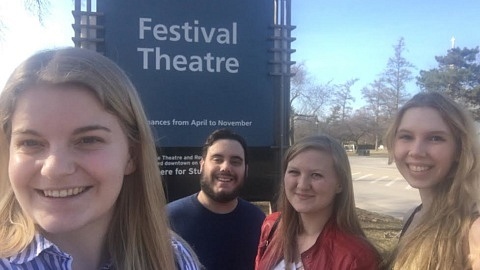 After all, this was a Shaw Festival production. If nothing else, I expected a clean, crisp show. It certainly looked the part when I first took a seat: gold and red decorate Ken MacDonald’s set, large tapestries hang upstage, chandeliers extend out from the stage and into the audience, and an actor on stage talks with people in the first row. As the show continues, however, I begin to lose faith. My generally unimpressed opinions of the show aside, there are three main critiques of the production that I can narrow down to: a lack of continuity, a lack of clarity, and an overabundance of self-indulgence. (l to r, front) Martin Happer as Prince of Wales and Andrew Lawrie as Duke of York; (l to r, back) Jim Mezon as Fox and Cameron Grant as Fitzroy in The Madness of George III. Photo by David Cooper. Although initially entertaining, the frequent use of fourth wall breaks, in which actors break the fourth wall and address the audience directly, has no pattern to it. This choice does not further anything, and it happens haphazardly. Furthermore, occasionally actors who play two characters will change costumes on stage from one to another… But not all the time. This absolute lack of consistency only serves to bring me out of the reality of the play and instead draws my attention to questions such as, “Why in King George’s name are they doing this right now?” and, “What is the purpose of this?” Neither of these questions is ever satisfied. Secondly, from a seat in the back row of the floor seating, it is nearly impossible to make out what actors are saying for a good deal of the production. The words spoken lack articulation, and are often muddled by the use of a variety of accents from the United Kingdom. This means that much of the story is utterly lost; it cannot be understood, at least not easily. Lastly, the show runs for two hours and thirty minutes. Poorly overplayed gags, a long company dance, and subplots that also lack clarity eat much of this time up. There is a subplot about one of the sons (or two? Relationships are never made entirely clear throughout the production…) striving to take over his father’s throne, and for some reason members of the King’s Court want to use this for their own benefit, which is another sub-subplot in itself. The show holds its audience forcibly captive, acknowledges this, and taunts us with the information. Despite these ways that the show might have improved, there are still certainly positive attributes. The costuming, designed by Christopher David Gauthier, for one, is lovely in style and cleverly symbolic. Supporters of the King are cloaked predominantly in blue, while those against him are most often cloaked in red. Furthermore, the characterization of each individual that the actors represent is clear, such as in the case of André Sills, who played two characters on separate sides of the political schism with due diligence and ease. As a whole, I find the show falls short in many regards concerning directing choices and story clarity. However, it may still appeal to those who value aesthetic and visual choices rather than overall performance quality. 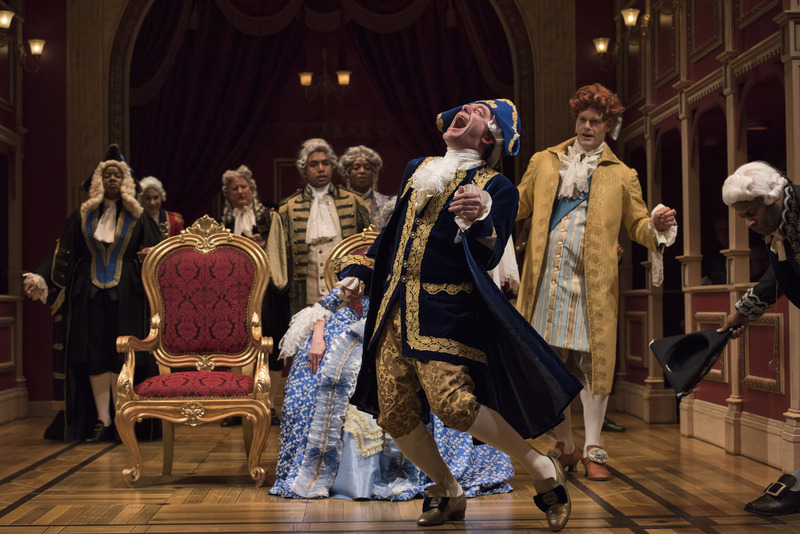 In short, The Madness of George III, in its misguided direction and general blandness, plays to the whims of an audience base of which I am not a member. OlderStolen Theatre’s House is Good Real Estate: Welcome, DARTcritics Class of 2017/18!